WASHINGTON, DC – February 11, 2013 – (RealEstateRama) — A growing number of metropolitan areas had higher median home prices in the fourth quarter, with the national price showing the strongest year-over-year increase in seven years, according to the latest quarterly report by the National Association of Realtors®. A companion report shows record high housing affordability conditions for metro areas in 2012. The median existing single-family home price rose in 133 out of 152 metropolitan statistical areas1 (MSAs) based on closings in the fourth quarter compared with same quarter in 2011, while 19 areas had price declines. In the third quarter 120 areas showed increases from a year earlier, while in the fourth quarter of 2011 only 29 metros were up. Lawrence Yun , NAR chief economist, said all the conditions for strong price growth are at play. “Home sales are on a sustained uptrend, mortgage interest rates are hovering near record lows and unsold inventory is at the lowest level in 12 years,” he said. “Home sales are being fueled by a pent-up demand and job creation, along with still favorable affordability conditions and rents rising at faster rates. Our population has been growing faster than overall housing stock, so supply and demand dynamics are very much at play.” Yun added that more housing construction is needed to relieve some of the pressure in the market and keep home prices from overheating. A shrinking market share of lower priced homes continues to account for some of the price growth. Distressed homes2 – foreclosures and short sales generally sold at deep discounts – accounted for 23 percent of fourth quarter sales, down from 30 percent a year ago. Total existing-home sales,3 including single-family and condo, rose 5.0 percent to a seasonally adjusted annual rate of 4.90 million in the fourth quarter from 4.66 million in the third quarter, and were 12.1 percent above the 4.37 million pace during the fourth quarter of 2011. Sales in the last quarter were at the highest level since the fourth quarter of 2009 when they reached 4.95 million. At the end of the fourth quarter there were 1.82 million existing homes available for sale, which is 21.6 percent below the close of the fourth quarter of 2011 when 2.32 million homes were on the market. Unsold inventory is at the lowest level since January 2001 when there were 1.78 million homes for sale. According to Freddie Mac, the national commitment rate on a 30-year conventional fixed-rate mortgage averaged a record low 3.36 percent in the fourth quarter, down from 3.54 percent in the third quarter and 4.01 percent in the fourth quarter of 2011. NAR’s national annual Housing Affordability Index, with breakouts for metropolitan areas, rose to a record high 193.5 in 2012 from 186.4 in 2011. The index is calculated on the relationship between median home price, median family income and average effective mortgage interest rate. The higher the index, the stronger household purchasing power; recordkeeping began in 1970. Metro areas with the greatest housing affordability conditions in 2012 include the Detroit-Warren-Livonia area of Michigan, with an index of 571.1; Decatur, Ill., at 419.5; and Lansing-East Lansing, Mich., at 397.0. There were 145 out of 156 metros that set records for housing affordability in 2012. In the condo sector, metro area condominium and cooperative prices – covering changes in 56 metro areas – showed the national median existing-condo price was $179,900 in the fourth quarter, up 12.2 percent from the fourth quarter of 2011. Forty-seven metros showed increases in their median condo price from a year ago, one was unchanged and eight areas had declines. Regionally, existing-home sales in the Northeast increased 2.2 percent in the fourth quarter and are 12.9 percent above the fourth quarter of 2011. The median existing single-family home price in the Northeast rose 0.7 percent to $228,400 in the fourth quarter from a year ago. In the Midwest, existing-home sales rose 5.6 percent in the fourth quarter and are 18.3 percent higher than a year ago. The median existing single-family home price in the Midwest increased 9.2 percent to $143,800 in the fourth quarter from the same quarter in 2011. Existing-home sales in the South rose 5.0 percent in the fourth quarter and are 13.2 percent above the fourth quarter of 2011. The regional median existing single-family home price was $160,100 in the fourth quarter, up 9.1 percent from a year earlier. In the West, which is the region most impacted by limited housing supplies, existing-home sales increased 5.9 percent in the fourth quarter, and are 5.0 percent higher than a year ago. The median existing single-family home price in the West jumped 20.1 percent to $245,200 in the fourth quarter from the fourth quarter of 2011. NOTE: NAR releases quarterly median single-family price data for approximately 150 Metropolitan Statistical Areas (MSAs). In some cases the estimated MSA prices may not coincide with data released by state and local Realtor® associations. Any discrepancy may be due to differences in geographic coverage, product mix, and timing. In the event of discrepancies, Realtors® are advised that for business purposes, local data from their association may be more relevant. Data tables for MSA home prices (single family and condo) are posted at http://www.realtor.org/topics/metropolitan-median-area-prices-and-affordability/data . If insufficient data is reported for a MSA in particular quarter, it is listed as N/A. For areas not covered in the tables, please contact the local association of Realtors®. 1 Areas are generally metropolitan statistical areas as defined by the U.S. Office of Management and Budget. A list of counties included in MSA definitions is available at: www.census.gov/population/estimates/metro-city/0312msa.txt . 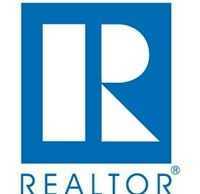 2 Distressed sales are from a survey for the Realtors® Confidence Index. First quarter metro area home prices and quarterly existing-home sales will be released May 9 at 10:00 a.m. EDT.